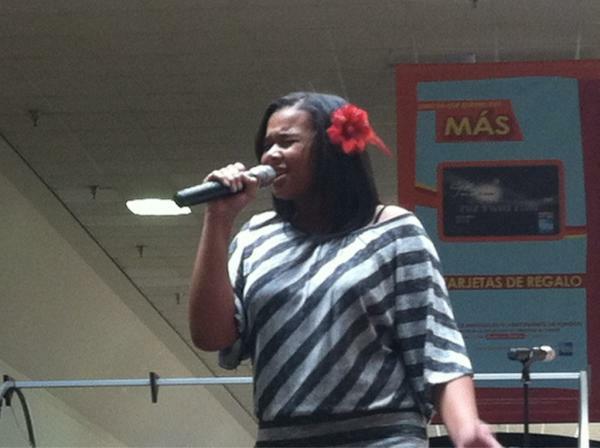 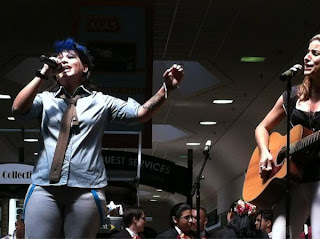 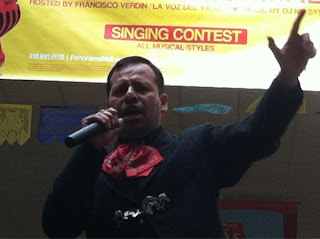 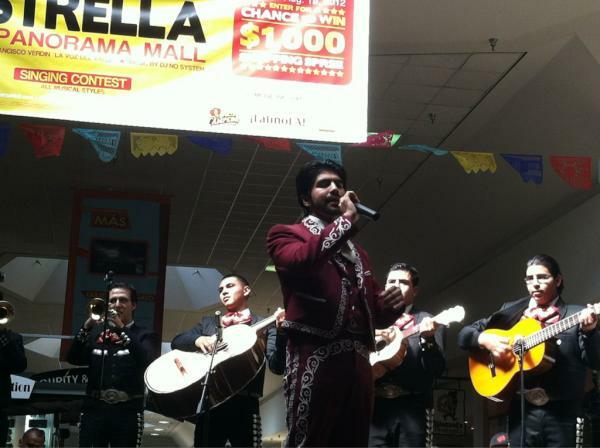 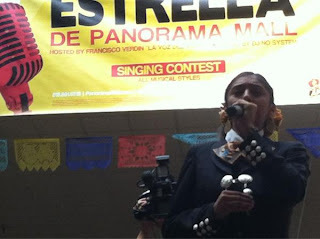 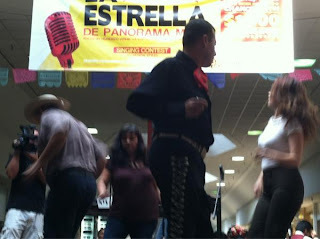 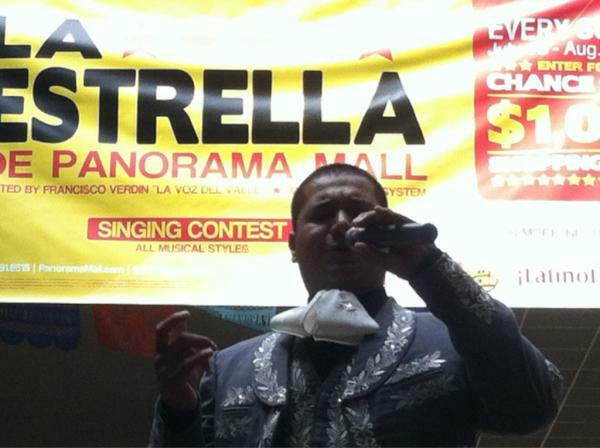 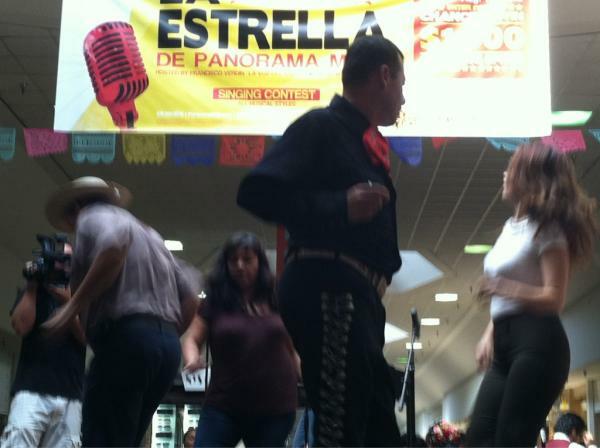 I had the honor and pleasure of serving as a judge for La Estrella de Panorama Mall, a singing competition which took place at the Valley's shopping center from July 14 through August 19. Although I only participated in the first round and finals, it was a lot of fun and inspirational. 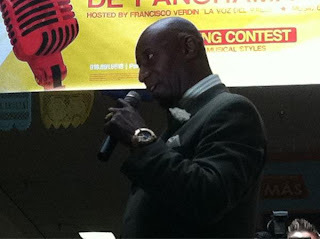 Thanks to Joman Wong, marketing lead at the mall, along with the host, fellow judges (including the Reyna Treviño) and of course, the contestants. I live tweeted comments and photos during the finals. 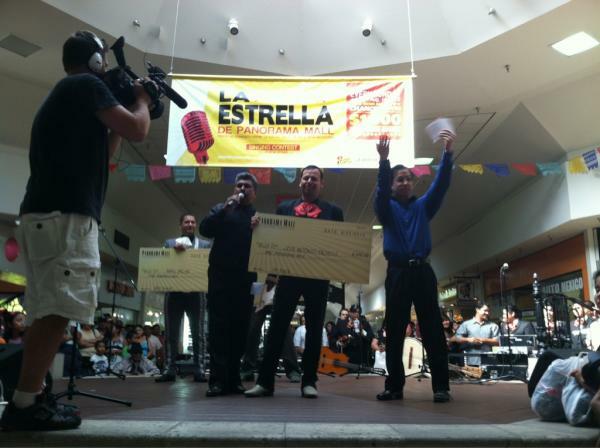 Here they are: El Editor tweeting La Estrella de @panoramamall finals w/grand prize $1000 shopping spree @dianamera does soundcheck. 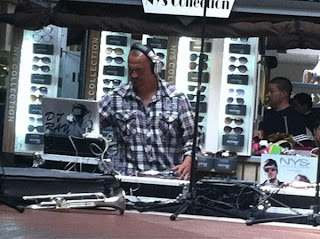 I'll add the link to the LatinoLA article once it's uploaded.